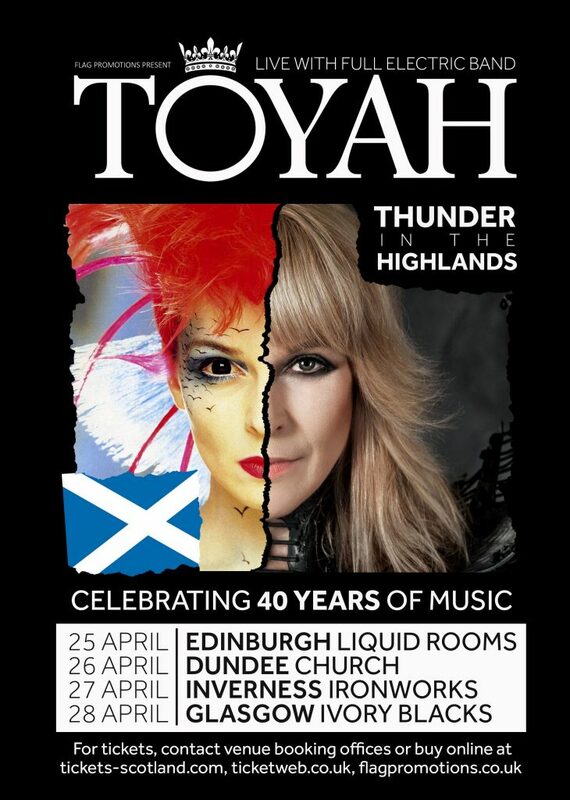 Toyah has announced a series of four Scottish gigs in April 2019. Thunder In The Highlands Tour 2019 will play Edinburgh, Dundee, Inverness and Glasgow. The year 2019 marks the 40th anniversary of her music career as Toyah released her first ever single and studio album in 1979. This concert –with her full electric band– is one of four exclusive Scottish dates that will be a celebratory retrospective including hit singles, album classics and fan favourites.